Is it low, mid, or high-rise? Are there any financial incentives for multifamily housing properties? Do I include the GFA for a private garage in a townhome/duplex? How do I release data to HUD for my multifamily property’s Capital Needs Assessment (CNA)? How should I benchmark garden style apartments? I don't have whole building energy data - what can I do today? Is Design recognition available for new construction of multifamily properties? 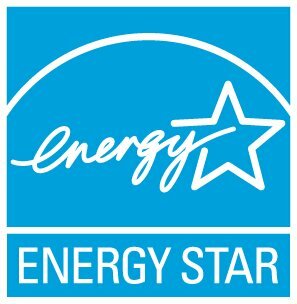 What are the requirements for multifamily housing to earn ENERGY STAR certification? Green Up* -- Property energy and water usage must be recorded in EPA Portfolio Manager before closing and annually until 2 years after project completion. $3,500 toward energy audit (Green Assessment). For properties with projected savings of 15% or more in energy and/or water consumption based on Green Assessment, Freddie Mac will underwrite up to 50% of projected energy savings. Up to 5% additional loan proceeds. Green Up Plus*-- Property energy and water usage must be recorded in EPA Portfolio Manager before closing and annually until 2 years after project completion. $3,500 toward ASHRAE Level 2-compliant energy audit (Green Assessment Plus). For properties with projected savings of 15% or more in energy and/or water consumption based on Green Assessment Plus, Freddie Mac will underwrite up to 75% of projected energy savings. Discounted loan pricing for properties that have affordable rental units and that are ENERGY STAR certified as a multifamily property. Up to $5,000 cash rebate at time of loan purchase on new property loans to borrowers on their first mortgages, for benchmarking their property in Portfolio Manager and submitting a valid ENERGY STAR score -- no minimum score required. 2. Fannie Mae Green Financing – The property’s ENERGY STAR score must be reported on an annual basis over the life of the loan. Better pricing on acquisition, refinance, or supplemental loans for properties that are ENERGY STAR certified. Disclosure of the loan as a "Green MBS" to the bond market. Reimbursement for 100% of the cost of a High Performance Building (HPB) report (equivalent to ASHRAE Level 2 energy and water audit), subject to loan closing under Green Preservation Plus. Better pricing on refinance and acquisition loans. Up to 5% more loan proceeds. Disclosure of the loan as a “Green MBS” to the bond market. Green Rewards# - Requires minimum projected reduction of 20% energy or 20% water consumption. Reimbursement for 100% of the cost of a High Performance Building (HPB) report (equivalent to ASHRAE Level 2 energy and water audit), subject to loan closing under Green Rewards. Better pricing on refinance, acquisition, supplemental, and 2nd supplemental loans. Up to 5% additional loan proceeds. Underwriting of 75% of owner’s and 25% of tenant’s projected energy and water cost savings. As of April 1, 2016, HUD-FHA is offering a MIP rate reduction of 20 to 45 basis points for all multifamily FHA-insured loans originated on properties that achieve certification in accordance with a recognized “green building standard”. For more information, requirements, and the list of certifications accepted to qualify for the reduction – including ENERGY STAR certification – see the HUD MIP Notice published at: https://www.gpo.gov/fdsys/pkg/FR-2016-03-31/pdf/2016-07405.pdf. A number of the certifications other than ENERGY STAR that are accepted for the MIP reduction require reporting in Portfolio Manager or ENERGY STAR scoring. Additionally, the HUD MIP Notice requires each property to achieve an ENERGY STAR score of 75 or higher – either at loan closing, or as soon as possible after construction for all those certifications achievable only after construction. Owners must maintain energy performance in future years evidenced with annual submission of a Statement of Energy Performance with a current score not less than 75, prepared by a Qualified Energy Professional as defined by HUD in Chapter 5 of the MAP Guide: http://portal.hud.gov/hudportal/HUD?src=/program_offices/administration/hudclips/guidebooks/hsg-GB4430. HUD-FHA will also underwrite utility cost savings identified through an ASHRAE Level 2 energy audit, even if no “green building standard” certification is obtained. FHA Multifamily Loan applicants requesting recognition of utility cost savings are required to benchmark using Portfolio Manager and to submit the data in the HUD Custom SEP format as an attachment to a CNA in the CNA e Tool. No minimum score or annual submission of an SEP is required. The 2016 Multifamily Accelerated Processing Guide (MAP Guide) published on January 29, 2016, requires utility benchmarking in Portfolio Manager for all applications. But this requirement for all applications (as opposed only to those seeking MIP reduction or recognition of utility cost savings) has been suspended. *Additional terms and conditions apply. Please see http://www.freddiemac.com/multifamily/product/green-advantage.html for more information. # Additional terms and conditions apply. Please see https://www.fanniemae.com/multifamily/green-initiative for more information. How Do I Benchmark my EV Station? Is there a list of Utilities who provide “Whole Building” aggregate data?